Ready to manage your risk and control your positions with precision? Money, Risk, and Trade Management Solution! 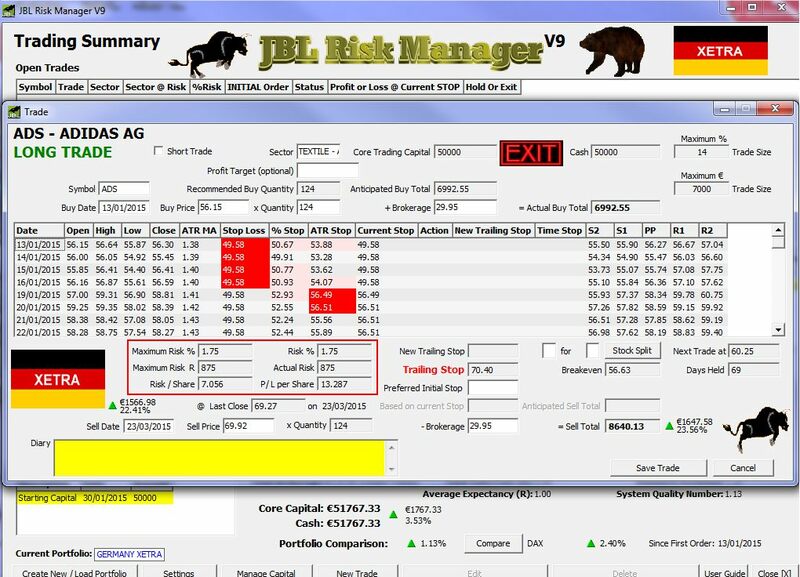 Click the button below and immediately download your free, fully functional 30-day trial of the JBL Risk Manager. 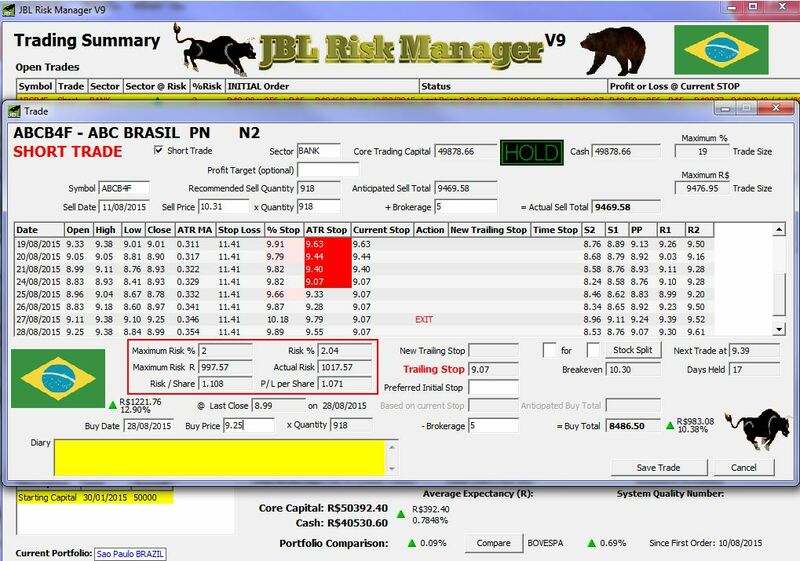 Visit this site on your PC to download the JBL Risk Manager! JBL Rick Manager is a fantastic product to use. 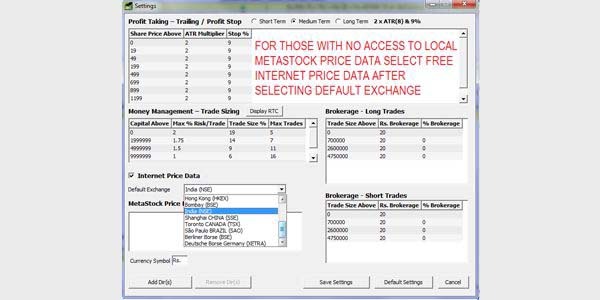 It allows you to manage your trade risk in every trade. 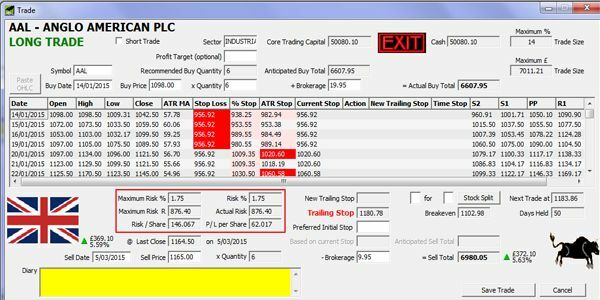 The software itself is easy to use and customise and once you have your trading strategy sorted it will complement any other software you have. Over the last few months I have constantly kept profits in all trades I have been exposed to thanks to JBL Rick Manager. 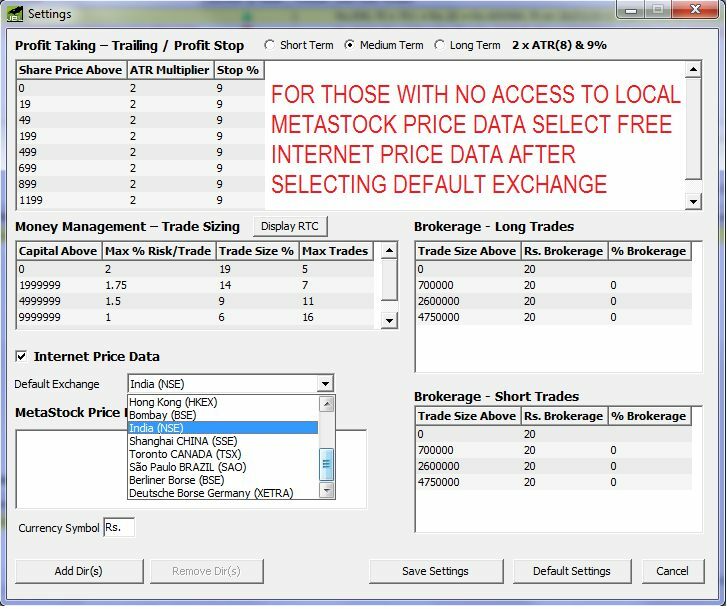 A definite must to any serious trader or newbie who wants a tool that can look after your risk in a trade. The JBL Risk Manager is working great! It is user-friendly and very helpful. I used to work with my custom excel files but I took a decision to test JBL before buying and I am very happy for my decision. 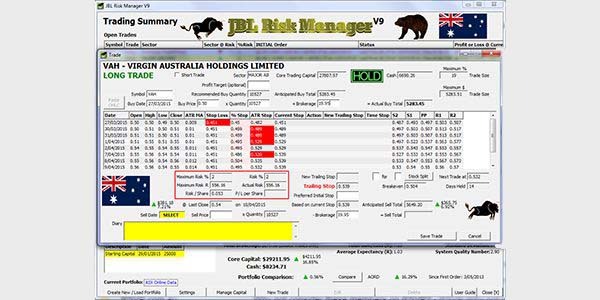 I have been using JBL Risk Manager (RM) for several years and recently updated to the latest version. I would not purchase a stock without entering the purchase details into JBL RM first. 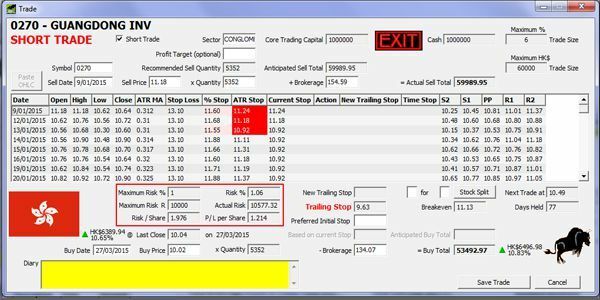 It is invaluable for position sizing and money management. 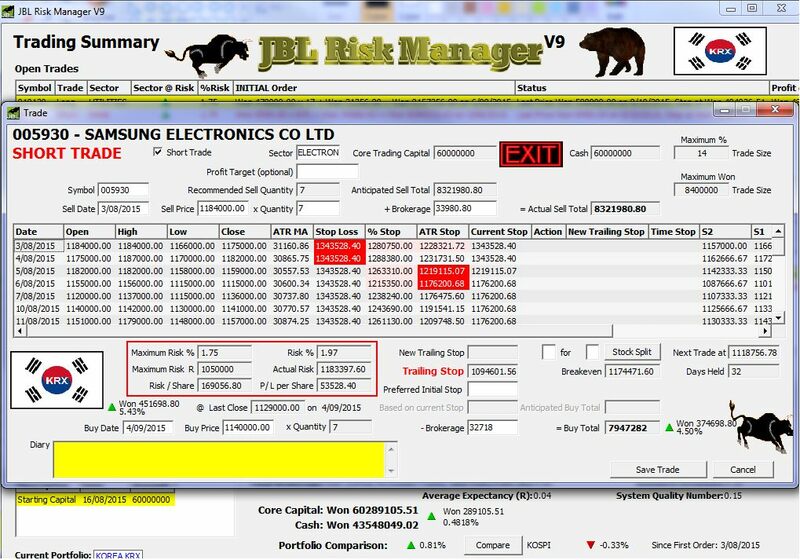 Similarly I maintain all sale details for each of my three portfolios using JBL RM. I have read many books on share trading, most of which contained some detail on how to manage risk. I am confident that by using JBL RM that I am undertaking the necessary management of risks associated with capital appropriation, open positions and sector constraints, with the added bonus of stop loss alerts.In my opinion JBL RM is a top product that should be a mandatory tool for any trader or investor. I also use the Van Tharp Trade Expectancy & SQN performance measures you have included in the program. 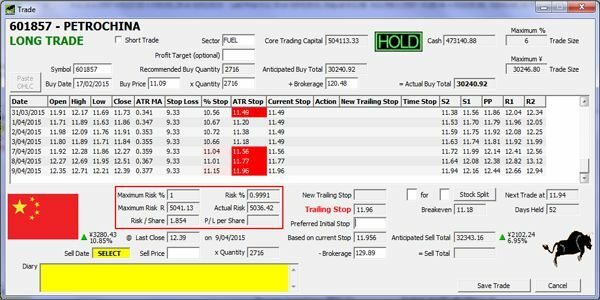 Excellent tools for making sure your trading system is continuing to perform well. 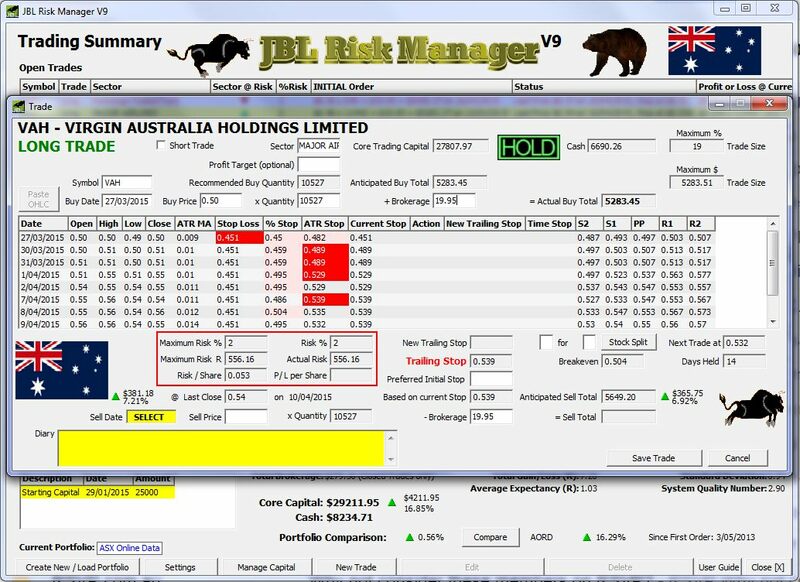 Joseph, the designer of JBL Risk Manager, has been very helpful and it's all coming together now and yes the need for such a program is critical.Wish I was this educated when I first started trading, would have saved me many thousands of dollars through the GFC and beyond too. I am impressed with your programme. 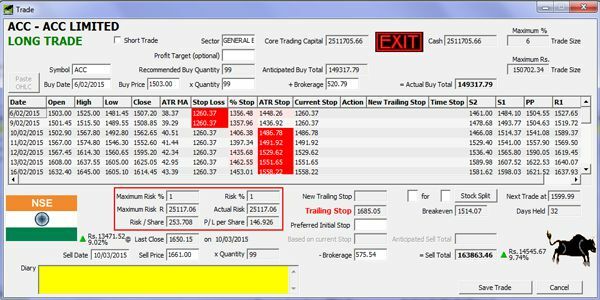 Apart from all the user friendly features designed for traders & investors, it has a subtle quality not apparent when first using the programme, namely, it makes me stick to my trading plan by reminding me constantly when to get out of a loosing position. The programme is a must for the serious trader. JBL Risk Manager allows an investor to establish their portfolio up front and maintain a consistent exit strategy for superior risk management. I will introduce it as my trading tool of choice to candidates and attendees of my International Public Speaking events. Overall it’s a winner Joseph! For someone who appreciates the importance of capital and risk management, position sizing and win/loss ratios, expectancy etc, this application is a must. Thank you again Joseph and I can now put your excellent program to work on my stock lists. Just for your info, from time to time a course member has asked -if I have a recommended money-management approach. Over the years I haven't made any recommendations in that regard. -After experimenting with JBLRM -thus far, however, has shown it has excellent potential, and is well worth the investment. I'll be more than happy to refer your program to my course members and others. 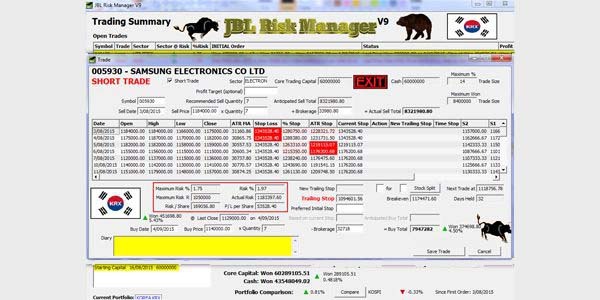 Lee and I just had to write and say that we have been using JBL Risk Manager for several months now and we are delighted with its ease of use and the powerful simplicity it delivers into our hands when we consider keeping or selling shares. We have now grown well away from our beginnings of wondering how much to invest, buying shares and wondering when to take a profit or hanging onto them as they lost value and hoping they would "come good" again. 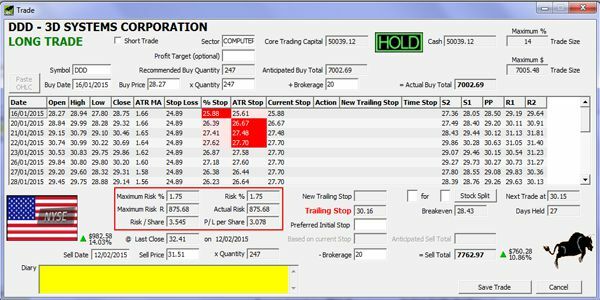 Your Risk Manager program has protected profits for us and has signalled the time to quit an unprofitable situation. Our involvement in the share market is now business like and successful. Congratulations on translating your skill & knowledge into such an effective yet simple program. Enjoy the results of stress-free trading. Watch your trading results prosper. 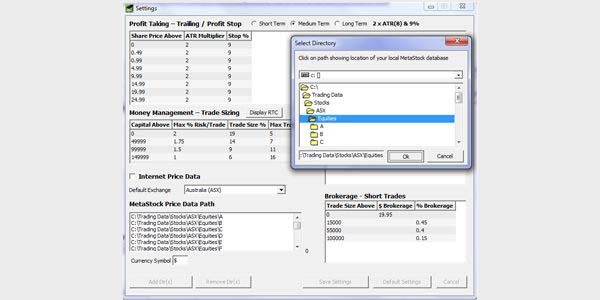 Remove emotion and guesswork from your Trading Decisions. Start today! 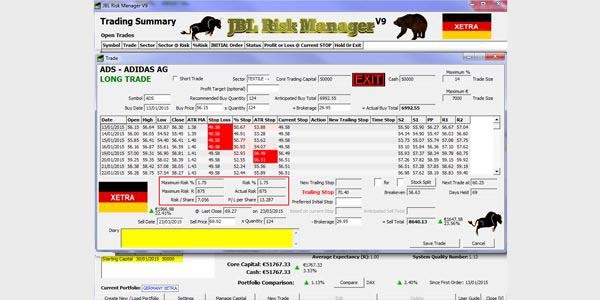 Download the JBL Risk Manager as published in Technical Analysis of S&C USA, on TV, and heard on Caroline Stephen’s weekly trading podcast - Talking Trading with Louise Bedford. Finally, an easy to understand portfolio management system to give you an edge like no other. 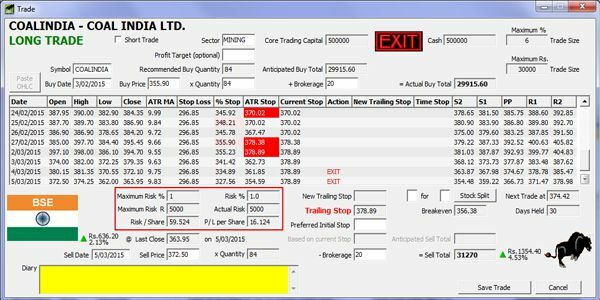 A simple Trading Plan you will understand based on your Risk tolerance using our sophisticated but proven strategy. 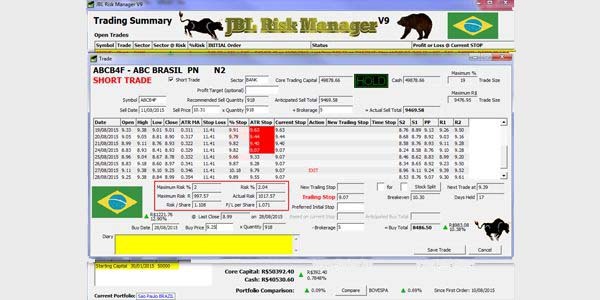 JBL Risk Manager includes FREE Stock Market price data updates, for all the major markets globally. 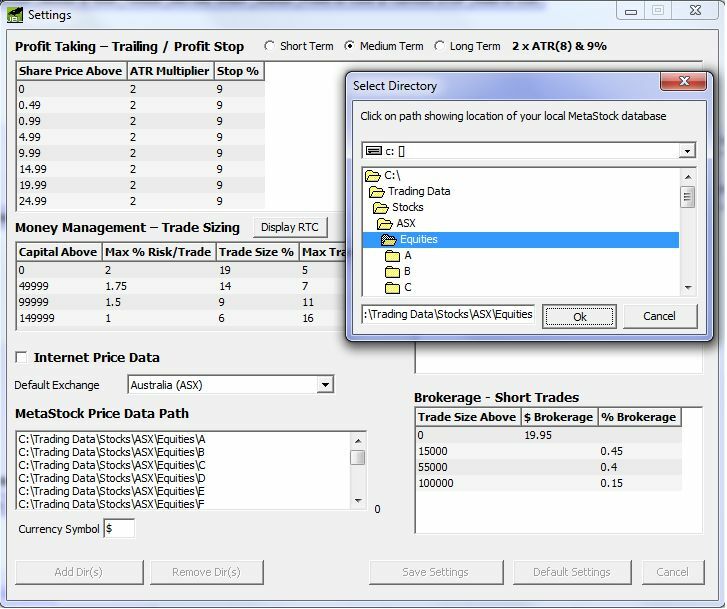 Position & Trade Sizing, Stop Loss & alerts, Trading Diary & Performance. Position Sizing aka Money Management is your first line of defence against catastrophic loss! It is regarded by successful traders to be one of the most important components of any Trading Plan. When you combine intelligent Position Sizing with effective Risk Management and use a Stop Loss, you are planning for your long term trading and/or investment success!